This civilian bulletproof vest made with simplicity in mind, it uses 6 Velcro elastic straps, 2 on each side and one on each shoulder. This is concealable bullet proof vest can be used above and under clothes. The slim design makes it harder to be detected while providing comfort to the wearer. This bulletproof vest is lightweight bulletproof vests that can be worn for long time possibly above simple shirt since as it made with internal mesh. Concealable body armor designed and manufactured for best protection of the wearer while keeping it comfortable for wearing while in duty or during everyday activities. 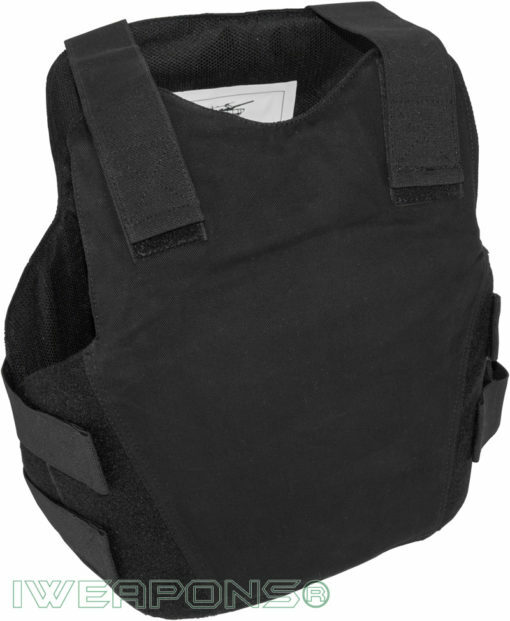 These civilian body armor solution provides high level of protection along with comfort. This bulletproof vest can be quickly removed in case of emergency. This vests adjustable to different body shapes and sizes. This bulletproof vest designed for civilians with soft armor level IIIA / 3A ratings.